The price of gold has recently revived as investors began to shift to precious metals amid the stock market uncertainty, but some investment specialists believe there is a better hedge and it's Bitcoin, of course. 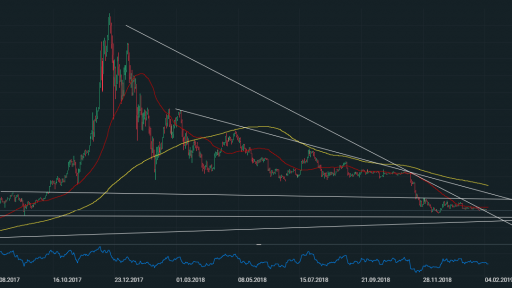 At the moment, Bitcoin (BTC) might not look like a more attractive investment option to the impartial eye, while gold has just reached over $ 1150 per ounce, against stock markets that are showing signs of overbought and signs for an impending financial recession have made smart money on nails. If you really want to hedge against Ponzi's debt-based scheme, as central banks work only with printed fiat currencies, there is an alternative currency created for this reason - Bitcoin (BTC). According to Travis Kling, founder and CEO r of Ikigai Asset Management, the first and largest cryptocurrency is more attractive than noble metals. Kling notes that US national debt is currently approaching $ 22 trillion, and the Federal Reserve can no longer significantly reduce interest rates - a recipe that many see as leading to a new global financial recession.